Best Attraction for Large Events! Warning: This Rock Wall is 26' High. We could not make it any bigger for your appreciation in this graphic, nor a perfect picture to show you how big is it could be taken. 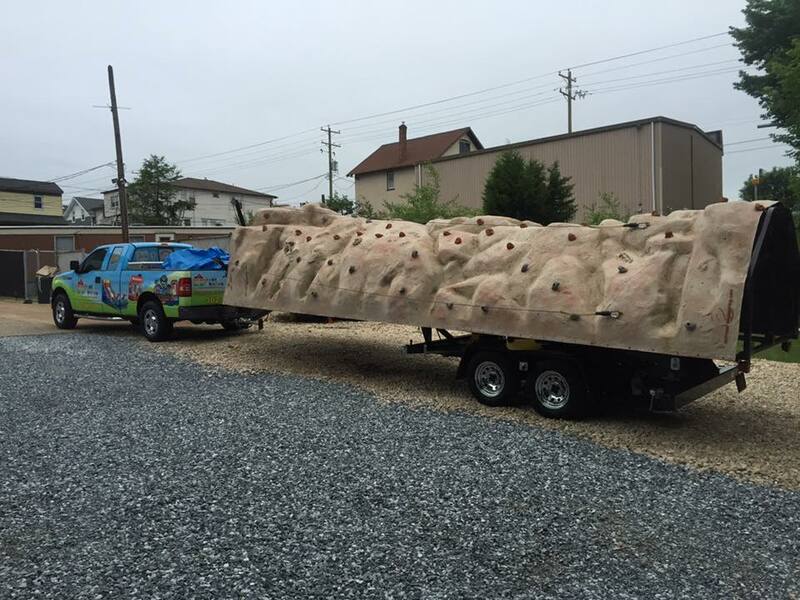 Description: Our Climbing Rock Wall. 26' High of pure adrenaline. 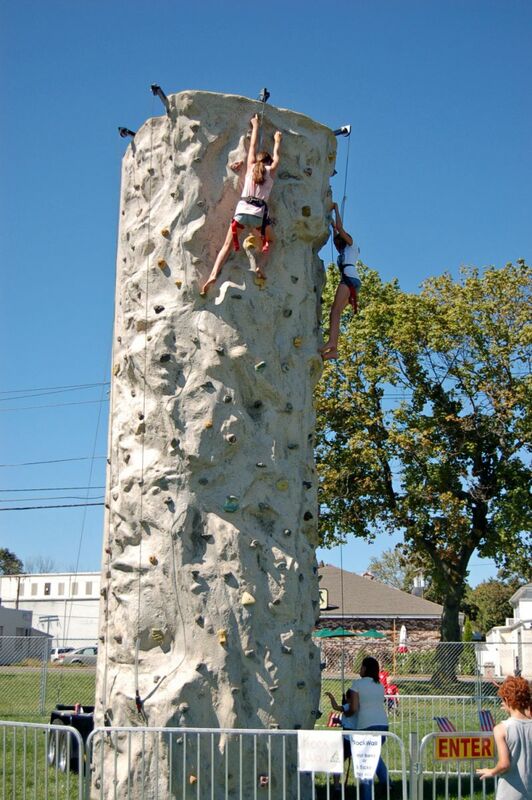 The Deluxe 4 person Rock Wall is the work horse of all rock walls. This wall is capable of handling the load of larger events with 4 independent climbing "auto belay" safety lines and a larger single mold climbing surface. The impressive 4 person climbing surface was sculpted with attention to detail making this a marquee attraction in any special event. The crowd is sure to enjoy watching as climbers test themselves reaching the top and ringing the top out buzzer. Sponsorship banner bars hang vertically on each side of this sand stone finished wall making it a perfect visual for both sponsored corporate events, and busy harvest festivals and year end carnivals. Our Climbing Rock Wall. 25′ High of pure adrenaline. The Deluxe 4 person Rock Wall is the work horse of all rock walls. This wall is capable of handling the load of larger events with 4 independent climbing “auto belay” safety lines and a larger single mold climbing surface. The impressive 4 person climbing surface was sculpted with attention to detail making this a marquee attraction in any special event. The crowd is sure to enjoy watching as climbers test themselves reaching the top and ringing the top out buzzer. Sponsorship banner bars hang vertically on each side of this sand stone finished wall making it a perfect visual for both sponsored corporate events, and busy harvest festivals and year end carnivals.